One of the grittiest motivations for a children's villain, EVER. And she basically says outright she doesn't care if it kills the babies. o_o The Sorceress and Ripto spook me with their blood thirstiness. Do you think a successor to this will actually show blood? Haha, no. The Spyro franchise, even at it's darkest and grittiest (*eye roll*), is a game for kids. Hey, come on. I wasn't born yesterday, so I very well know that, but do you think it would be so ironic if it existed? I think you've got the wrong definition of ironic here. What do you mean? Having blood in a kids' game series isn't ironic by any definition. I meant a successor not focused on kids. You should have said that in the first place. XD But still no. That just doesn't fit the tone or theme of any Spyro game. May as well just play Drakengard (which is full of dead dragons and blood, just like every dragon game that isn't Spyro). Hel-LOOOOOOOOOOOO-oooooooooooooh! I still think you're not getting it. I don't mean a series that's still about Spyro. While it would loosely have a Spyro-esthetic, it won't be about Spyro or anyone in the Spyro universe entirely. It would focus on completely different characters, possibly even replace cheetahs and bunnies with other creatures to compensate. I was actually trying to talk to Razz that time, but Chrome was really giving me a hard time (I've been using my iPod touch at the time). No need to be rude, Windbringer. You never said any of this to begin with and you posted it in the YotD board. What else is anyone supposed to think you're referring to? And if you're not talking about a Spyro game, then what's the point of this topic even being in here? 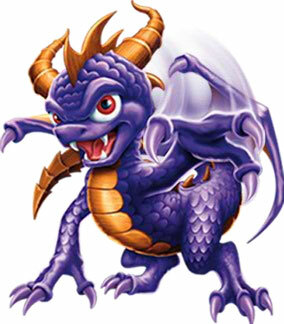 A successor to a thing means it's next version, i.e., a successor to a Spyro game would be another Spyro game. There's really not another way to take that phrasing. If you mean like a spiritual successor...still no. Putting in blood and darkness and all that rot negates the general spirit of the Spyro franchise. Putting in blood and darkness and all that rot negates the general spirit of the Spyro franchise. TLoS tried too hard, and didn't focus on making the gameplay good. It's all combat. I know this isn't the place to discuss that, but basically, I know what you're saying.